The Belson company has a line of great floor and cleaning equipment. 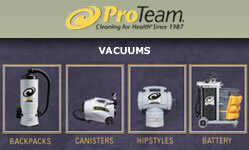 We represent the leaders in the industry including Tennant, Windsor, and ProTeam, and include latest technology in our scrubbers, vacuums, extractors and buffers. By partnering with Tennant and Belson, you will succeed in creating clean, safe and healthy environments for the people who use your facility. Performance is about great machines and great service. It also means consistently delivering what we promised. Tennant delivers superior performance, proven reliability, and successful results. Tennant offers the industries most complete line of cleaning and maintenance equipment and support.